The real estate market in Tricity is flourishing very fast and fulfilling the dreams of people to buy their own dream home here. The new Chandigarh is blooming into a wonderful city with the entry of several top IT companies and MNCs across the region. Apart from this, the newly built international airport in Tricity is also making the place so approachable and attracting investors and home buyers to invest in a property. All these factors lead towards the growth of this city and making it the most important realty hotspot. Top developers are coming up with their luxurious projects all across the city as per their recommendations. The residents can choose from a variety of options from independent floors to townships, villas, apartments and more as per their budget. Abounded in natural splendor, Gillco Palms Mohali is a brand new residential development in Mohali Sector 115 offering brilliant independent floors options to the home buyers. This is one of the most popular housing developments in the city attracting the buyers for its quality construction and excellent location. The project is designed meticulously to bring comfort and style in the life of residents. Every nook and corner at the complex is designed thoughtfully in such a way to give more open, comfortable and well-maintained living environment. Filled with peace and serenity, the whole complex offers more natural space surrounded by the beautifully landscaped gardens. 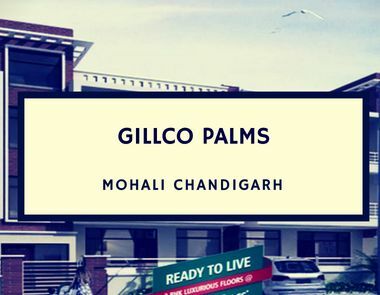 The independent floors at Gillco Palms Mohali are extremely appealing and designed for those who appreciate privacy and security for their family. These homes are designed as per the expectations of modern home buyers and offer everything to enjoy life at the fullest. The spacious and wide balconies at these homes will offer you a blissful experience in mornings and evenings. This is an integrated township project spread over 450 acres of land area offering 2 and 3BHK luxurious homes designed as independent floors. The external amenities include well-established security system, parking areas, intercom facility, in-house ambulance and more to make the life of residents comfortable. Talking about the location, the project is planned on Kharar-Landran Road and offers brilliant connectivity to all the major landmarks easily. All the daily conveniences and basic amenities are located very close to the project location and making the life of residents more comfortable. The project offers unmatched connectivity via well-established transportation facilities and wide roads. 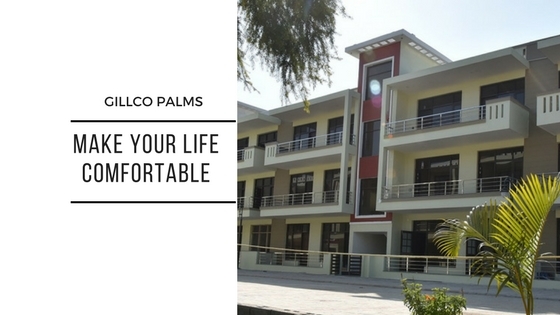 All in all when convenience, simplicity and contemporary designing come together, the result is this amazing residential project Gillco Palms Punjab. With all these luxurious features and facilities, the price for these independent floors is truly affordable and will fit in your budget easily. This is a ready to move property in Mohali that you can visit to make a smart investment.